Astronauts who venture into space must be extra vigilant in their management of radiation exposure—especially if they are outside of Earth’s protective magnetic field, which filters out much of the dangerous cosmic radiation that exists. Galactic Cosmic Radiation (GCR), a source of ionizing radiation that astronauts may encounter during space missions, is composed of the nuclei of atoms that have had their surrounding electrons stripped away and are traveling at nearly the speed of light. GCR particles can cause atoms they pass through to ionize. And they can easily pass through a typical spacecraft or the skin of an astronaut. These powerful, high-speed particles tear through DNA molecules, splitting them or damaging the instructions they have encoded for cell reproduction. Damaged DNA can lead to cancers and other diseases. Because space radiation poses such a serious, unfiltered risk to astronauts, the National Aeronautics and Space Administration (NASA) teamed up with the U.S. Department of Energy and established the National Space Radiation Laboratory (NSRL) in Upton, New York. Scientists at the NSRL use beams of ions to simulate cosmic rays so they can learn more about how to better manage radiation exposure of astronauts during space exploration missions. 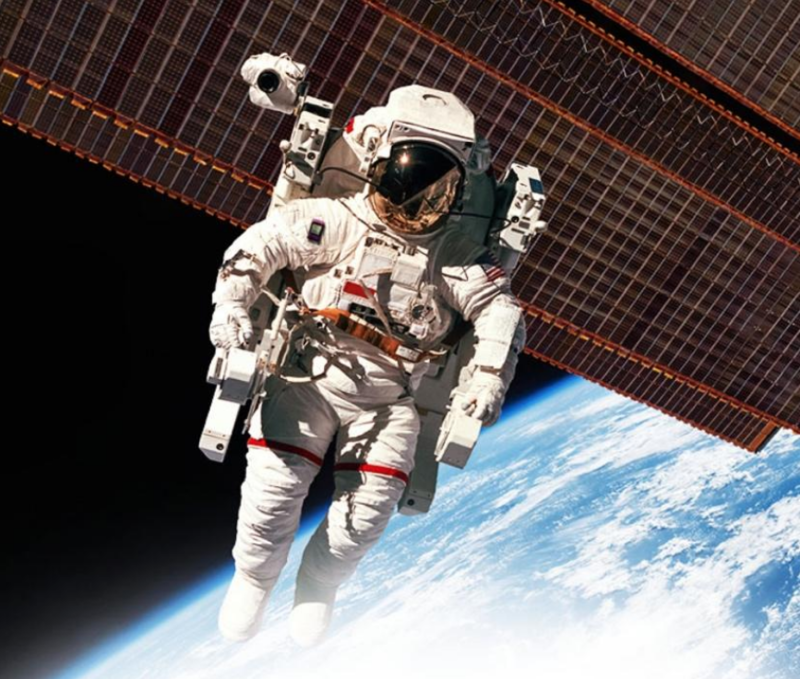 One of the best ways NASA has found to accurately monitor individual astronaut exposure to radiation during space missions is by equipping them with personal radiation monitoring dosimeters featuring the Instadose+™ technology. Developed by Mirion Technologies’ Dosimetry Services Division, and based on direct ion storage (DIS) technology, the Instadose+ dosimeter measures and wirelessly transmits the daily amount of radiation an individual is exposed to and tracks their cumulative radiation dose. Recognizing that traditional dosimeters must be processed on the ground after each mission and can only offer delayed measurement results, NASA was on the look-out for cutting edge technology to improve astronaut radiation safety management. Partnering with Mirion to create a special Instadose+ dosimeter for astronauts that would not only measure and wirelessly transmit the radiation exposure levels of astronauts in space but would also enable both astronauts in space (via an LCD read-out on the dosimeter) and NASA staff thousands of miles away (online via a computer) to monitor their radiation exposure levels in near-real-time. Radiation exposure in space poses a significant risk to astronauts. Instadose+ dosimetry technology is trusted by NASA to accurately measure astronaut radiation exposure in space. Visit Mirion at RSNA Booth #6532, November 25-29, 2018, to learn more about this special Instadose+ near-real-time dosimeter.